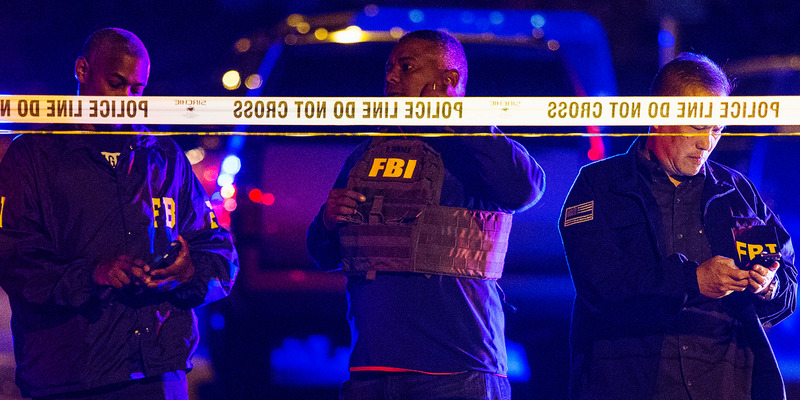 Austin-American Statesman/Nick Wagner via Associated PressFBI agents working the scene of an explosion in Austin, Texas, on Sunday. 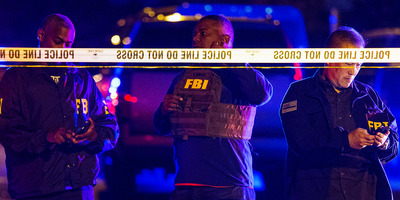 Two men were injured Sunday night in Austin, Texas, in an explosion possibly caused by a bomb detonated by a trip wire, the police said. The incident marks the fourth blast in the city in March. The police have been investigating a string of deadly package bombings that killed two people and seriously injured another. It’s unclear whether Sunday night’s explosion was connected to the three others. Two men in Austin, Texas, suffered non-life-threatening injuries after a roadside explosion that may have been triggered by a trip wire on Sunday evening, the police said. The Austin Police Department said on Twitter that residents near the area should stay in their homes until officers instructed otherwise. 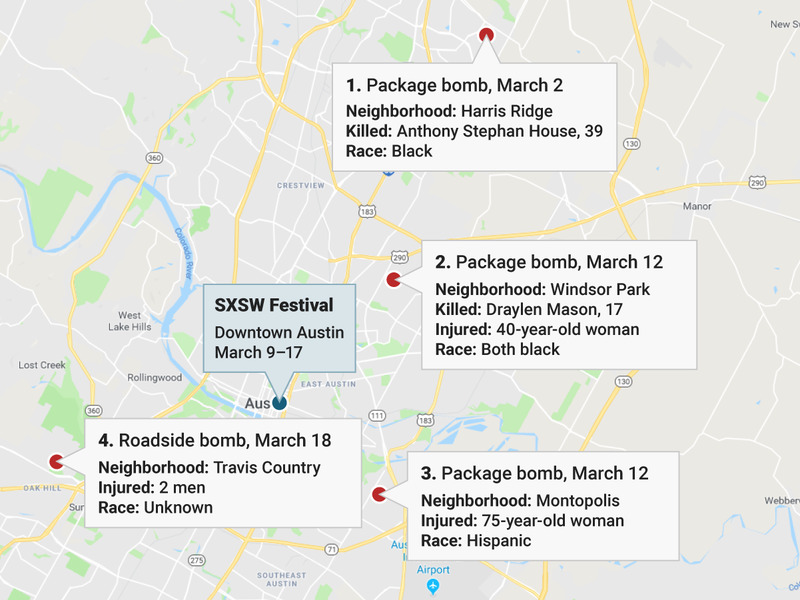 “We now need the community to have an extra level of vigilance and pay attention to any suspicious device,” Austin Police Chief Brian Manley said. The incident comes after a recent string of deadly package bombings, which killed two people and severely injured a third this month. Authorities have said they believe at least two of the blasts are linked. “We’re working on belief that they are connected,” Manley said. Manley told reporters on Sunday that it was “obvious that an explosion has taken place” but that nightfall had prevented investigators from determining exactly what happened. Manley said it was unlikely the police would know more, or deem the neighbourhood safe, until daybreak. He said the police were working to clear a second item in the area that appeared to be a backpack. Manley added that he couldn’t answer reporters’ questions because investigators didn’t yet know enough about the Sunday-night incident but reiterated authorities’ message to avoid all suspicious-looking packages. “Not only do not touch any packages or anything that looks like a package, do not even go near it at any time,” he said. Manley added that anyone responsible for the explosions could contact the police through 911 or reaching out online. He added that police hadn’t yet determined a motive for the attacks. 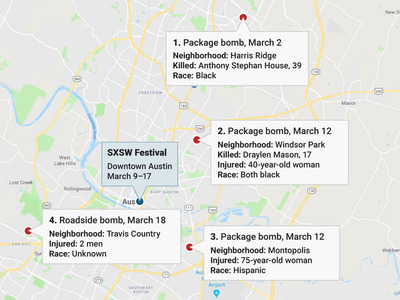 The previous three explosions in March occurred in different parts of Austin. The first occurred March 2, killing Anthony Stephan House, 39. House’s death was initially investigated as suspicious but was later viewed as a homicide, the Associated Press reported. The bomb that killed him was powerful enough to destroy the front porch of the house, Manley told reporters. Two other explosions occurred March 12 – one of them killed Draylen Mason, 17, and the second seriously injured a 75-year-old Hispanic woman. None of the packages were delivered through the mail. Instead, they were left overnight on the victims’ doorsteps. The police are investigating potential connections between House and Mason, each of whom belonged to prominent black families whose members knew each other. It is unclear whether race played a role in the attacks. Investigators have speculated that the bomb that injured the elderly woman may have been intended for a different target,The New York Times reported.